The rush of a good deal… as a spender I can relate. You may not have had a spending problem like I did. Or perhaps you do and you don’t realize it yet. Maybe you’ve spent much of your adult life thinking that money just doesn't get along with you… and that your spending wasn't part of the problem. For years I thought the same thing, until I was $40,000 in debt. Then my perspective finally started to change. My breaking point came when I went shopping at the mall one day and hid the purchases from my husband by throwing them in the back of my car. The next day when he went to work, I brought them inside and put them in my closet like they had always been there. I had a pit in my stomach, and it reminded me of the time that I had stolen an outfit as a teenager. Similar to hiding purchases from my husband, I hid the stolen clothes in my childhood closet. I had heard stories of money issues breaking apart marriages, and I started to wonder if they started this way. With one hidden purchase. After that purchase, enough was enough and I set a time when I would come clean to Mark. But not just about those purchases – about EVERYTHING. All the debt. I had married a saver. But as a spender, I was spending all of my saver's dreams away. 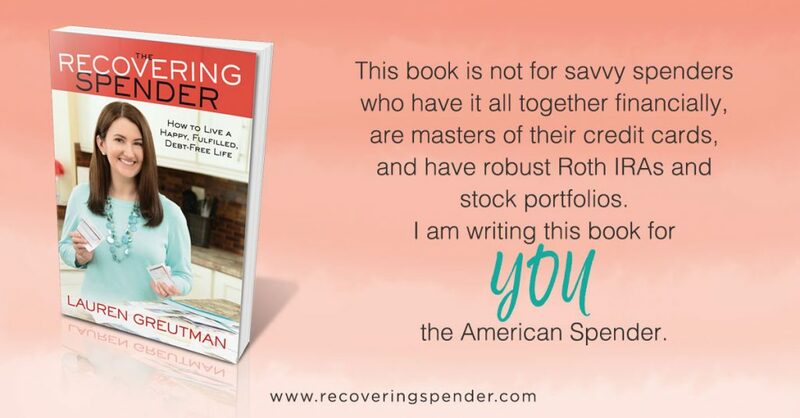 This is why I wrote The Recovering Spender. I wanted to write the financial book for the person who has always felt that they just can't “get with it financially”. I was not the kind of spender who would spend thousands at Saks, but rather the spender who would go into Target to grab milk and leave with $250 in “cute stuff”. That would happen 2-3 times per month and suddenly I’ve spent $600 at Target on my credit card. Does this sound familiar at all? 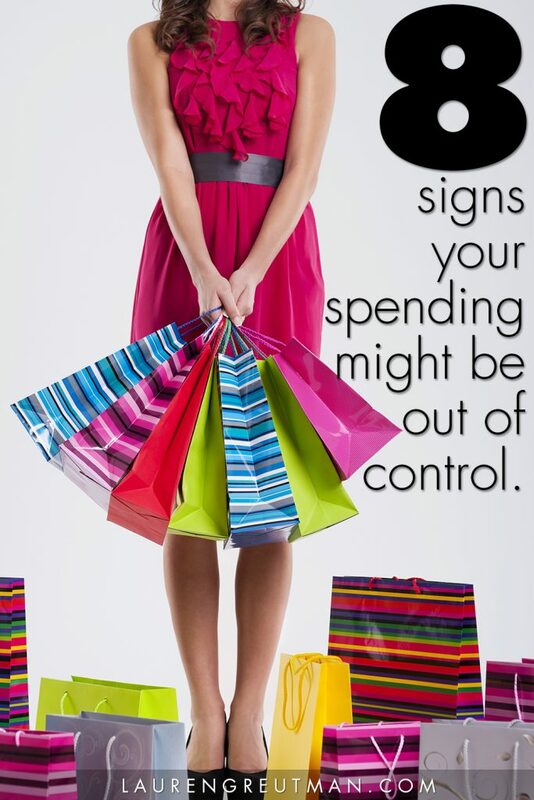 Regardless of how you spend money, you may know a spender and they need to hear this! Your car automatically drives into the parking lot of your favorite store, and before you know it you are walking out of the store with a purchase. You realize that you probably shouldn't have gotten it, but it was just so cute and you got it at a great price. You buy something, bring the item home, then return it because it isn’t perfect. You do this over and over again, never finding the perfect item. And you pick up other items along the way as you go to the store over and over. You walk out of a store after spending and have chapped lips and a dry mouth. Apparently you were so focused on your purchases that you didn’t realize you were smacking your lips. You go shopping to ignore the fact that you shouldn’t be shopping. Then you feel guilty that you spent money. This makes you sad, so you go shopping again to feel happy. Rinse and repeat. You swipe your credit/debit card not knowing if you have the money to buy it, but assume that you can catch it before any overdraft fees. Your paycheck is spent before you even get it. You spend money on random crap before your mortgage is paid. You don’t have any savings. Your savings account is depleted, or maybe you’ve never even had one. Can you relate to any of these warning signs? If you can relate, keep in mind that often these tendencies are usually accompanied by some awesome traits. You have a heart of gold, and would give the shirt off your back. You value money in the way that it provides you entertainment and life, and wonder why everyone is so concerned about it all the time. “Why does everyone take money so seriously” may be something a spender would mutter under their breath. 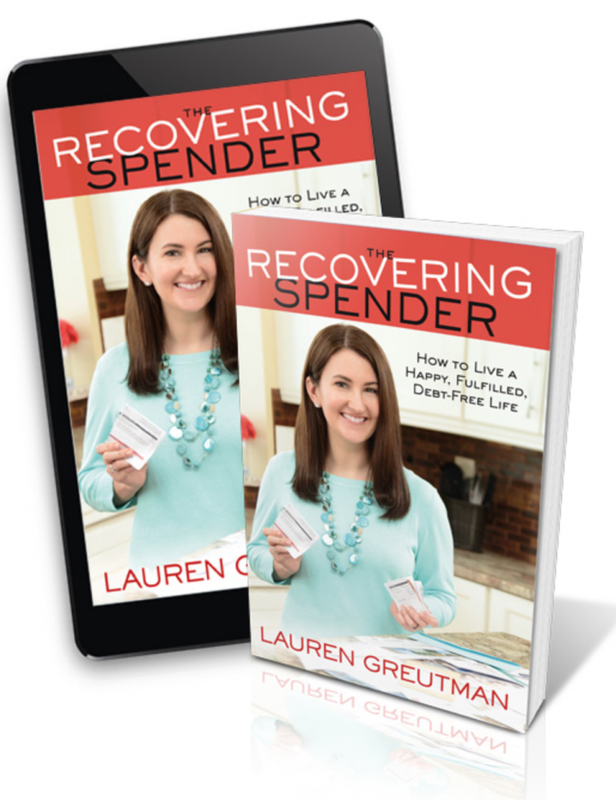 Spenders don’t let money get in the way of living life to the fullest. But at what cost? Their future selves and their future security? At the expense of their kids' futures? Spenders can live a very healthy financial help if they realize that the B-Word isn’t as bad as they think. I am a spender and have been able to successfully budget for the past 8 years. I’ve learned that budgeting can be fun and actually gives me a sense of freedom. This book is the financial book for the person who doesn't enjoy talking about money. It is for the person who wants to learn how to get out of debt once and for all. 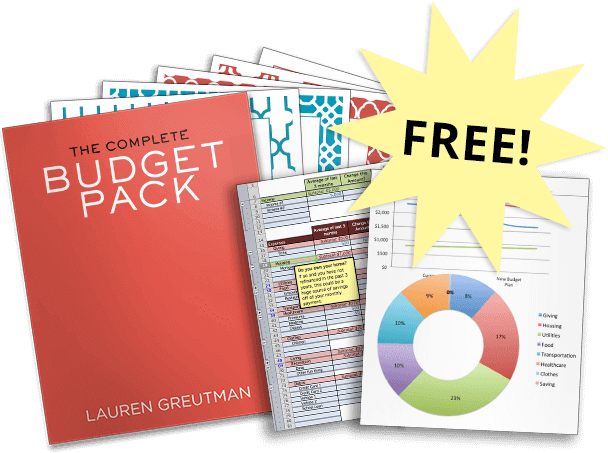 If you've failed at budgeting in the past, this is the book for you. I disagree that your book is “not for savvy spenders who have it all together financially”. I’m someone who has the maxed Roth IRA, investments, savings, mortgage being paid-off early, etc. However, I used to be a bit of a spender and I think this book would help me maintain my goals of being financially secure. TVJ, I undertand and totally agree. Thanks for the feedback!